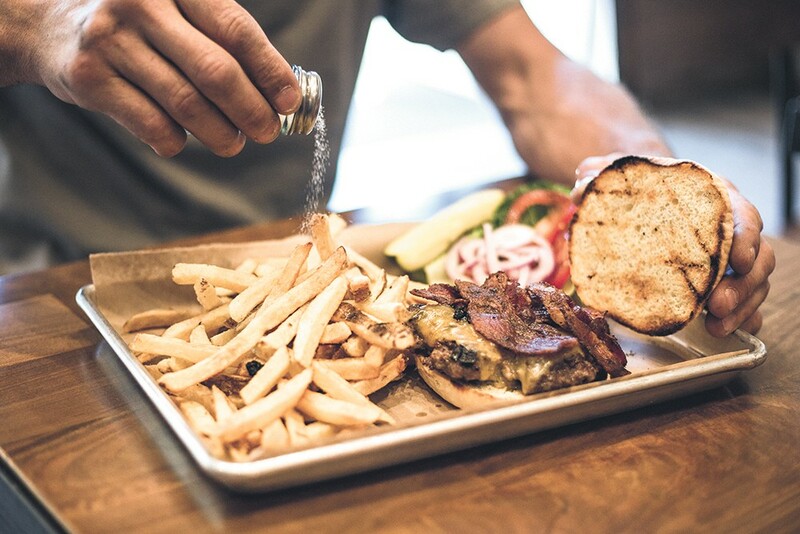 Rustic's burgers are served on its housemade potato buns. The oven is so important to their operation that Rustic Bakery owners Deb and Warren Heit named it: Big Bertha, as they call her, allows Rustic to turn out both artisan bread — baguettes, boules and potato buns — as well as thin-crust pizza that honors the couple's East Coast roots. Baguettes are the heart of sandwiches and panini, such as chicken pesto ($9.50) and brie with apple and fig spread ($8.50), or the tuna melt with Swiss ($8.50). The hearty, round boules are hollowed out to become edible bowls for soup or chili mac & cheese ($7-$8, or $6-$7 without the bread bowl). Rustic's New York-style pizza is available by the slice ($3-$3.75) or as a 20-inch pie ($19-$24). Rustic's burger buns, explains Deb, get their moistness from mashed potatoes. Try them with a grilled meat or veggie burger ($7.50-$8.50) and a bottled beer ($5). Other appetizers include wings ($10) and a bacon-wrapped hot dog ($6). Want even more bacon? Just ask; it's a free upgrade at Rustic. The couple, who relocated to the area six years ago, spent several years fine-tuning plans for the restaurant. Deb's meticulous experimentation with bread resulted in a three-day breadmaking technique for beautifully shaped golden loaves with thin, crunchy crusts and a moist, light interior. Warren applied his inventor and engineer's eye to refurbishing the 1905 building, formerly a retail shoe shop. Their kids, Bailey and Ryder, pitched in throughout. 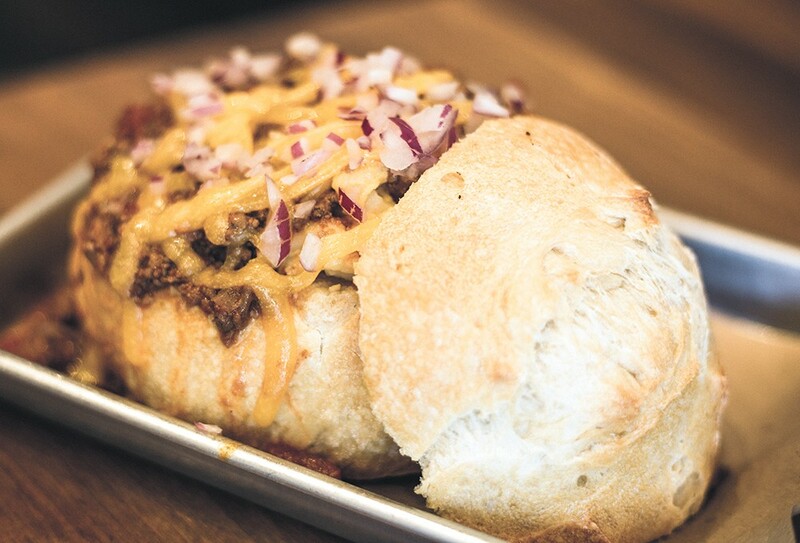 This bread bowl stuffed with chili mac is another house specialty. Menu development was similarly deliberate. Salads ($8.50), for example, can be customized from a list of 26 options — protein, greens, veggies, nuts, homemade croutons — while many meals can be upgraded to include a side order and drink for less than the price of ordering separately. The emphasis is on comfort food, classics and a casual environment.